During his recent visit to Trondheim, I got the chance to sit down with Matt and go through what made this project so successful, and how community science projects like this help change the world. Sam Perrin (SP): What’s the overall goal of harnessing citizen science? Matt von Konrat, Head of Botanical Collections, Field Museum, Chicago (MvK): The overall goal is to help accelerate the whole process of documentation and discovery. At the museum we have literally millions of specimens, so we now have the capacity to produce thousands of images. But we don’t have the capacity to actually analyse those images. So in one project we invite the general public to make observations of a physical image. That could be observing whether a characteristic is present, or it could be measuring some sort of characteristic. And through that process they generate data for our research. It also deepens the engagement with the general public about the significance of what we do, the fact that we even have natural history collections, and the fact that we even have scientists working behind the scenes. So there’s a two pronged goal. One, deepening engagement. Two, generating data for our science on a scale that no individual could achieve by themselves. 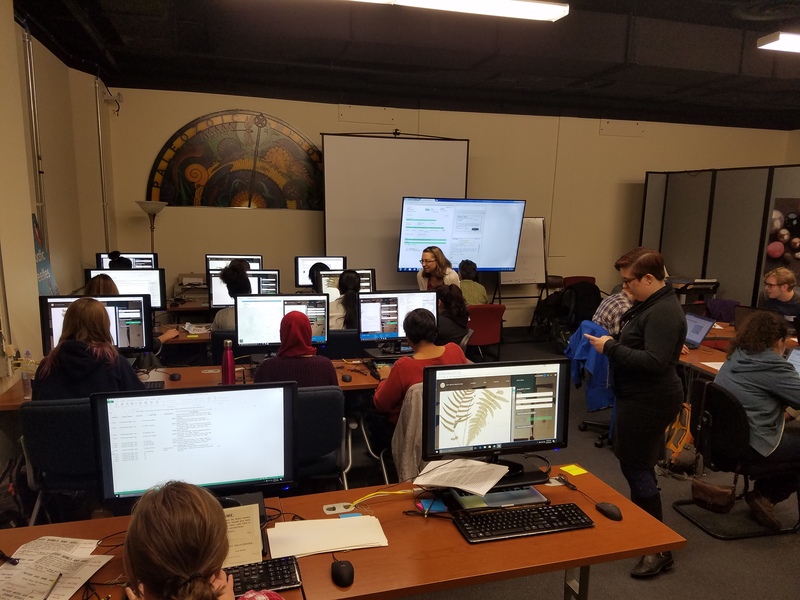 Our Public Relations and Community Awareness team at the Field Museum are also leading discussions in adjusting the language from “citizen” science to “community” science in an effort to help empower underrepresented groups to participate in science. Community science is emerging as a more inclusive alternative to “citizen” science. I think this is an important discussion. SP: What are some of the advantages of the acceleration of the data collection? MvK: The most obvious is the amount of work hours. Processing over 10,000 images, that takes almost 6 months of full time work, we just don’t have the capacity to do that. And I would never ask someone to do something like this 8-10 hours a day, 40 hours a week. So if you can get hundreds of people, just doing 1 or 2 hours, you can generate data that no individual can achieve. So that’s the most obvious benefit. Getting dozens, hundreds, even thousands of people individually, just to do one, two or three hours. SP: When you started, were there concerns as to how you’d get people interested? MvK: Well scientists can be pretty arrogant in some cases. They can be protective of their work, and think that no-one else can do what they do. However when you think about it, there’s many steps in the scientific process that with very little training, a layperson could do. And can do accurately. So there was pushback from my scientific audience or peers. But then we did start in very small steps. We started with a pilot study. Now when I write instructions, I assume a lot of knowledge. But because it’s quite technical, and I was leaving a lot out of the instructions, we needed someone from a completely different discipline, to come along with an outside lens and help us figure out where we needed better instruction. So we went through a lot of trial and error. But with each reiteration the process improved. A lot of it just comes down to clear instruction, and trying to automate ways to avoid error. Then at the end, the big challenge is analysing data, and developing techniques to help with that process too. Because if you can’t automate data analysis, you might as well have done it yourself. So we’re trying to make that whole pipeline pretty efficient and make sure we get back accurate data that we can use for our research on a scale that we couldn’t achieve by ourselves. SP. How do you find the accuracy of the data you get from the citizens was? MvK: Again, that was a bit of trial and error. The first time we had people analysing, it was on plant leaves, and we just had them analyse length and width, and didn’t put in any instruction about degrees, whether it should be at cross-angles or something like that. So we were improving little functionality along the way, to improve accuracy. We wanted to see how different audiences reacted, so we tested age groups of under 12, 12-18, 18 and over, just to see if one audience was more accurate that the other. Going into this, my hypothesis was that kids wouldn’t be able to do it. But it turns out they can and they do a pretty good job. So what we’ve done is developed mechanisms to kick out noisy data, leaving data that we can use with a high confidence of accuracy. 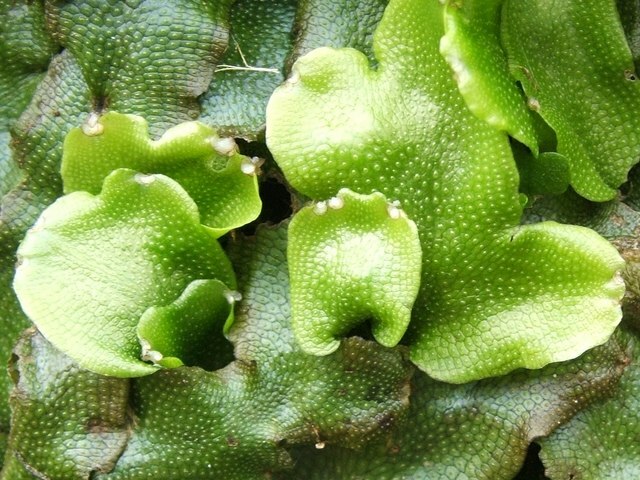 SP: You work with liverworts, which is not exactly a charismatic organism. What would you give as advice to people who work with levels of organisms that aren’t that charismatic? MvK: That was the second challenge. People said, you study liverworts, how the hell are people going to get excited about that. But it turns out, it doesn’t matter what the organism is, it’s easy to generate enthusiasm and excitement if people feel some ownership and feel that they’re involved. So I could come in and give a lecture on liverworts, and they might get something out of it. But at the end of the day, it’s just someone presenting. But if you can get people to participate it deepens that level of engagement. People are also naturally curious. A lot of people didn’t even know these organisms existed, and then they find out that they’re ecologically sensitive and can help with climate change and such. So I think it’s just a matter of trying to translate into something that an audience can feel connected with. Even those plants, that have a name that sound like a disease, and are small and non-charismatic, if you can show that because they’re so small, they can respond rapidly to changes in the environment and can help in the ecosystem, that starts to engage people. And then if you get people to participate, that deepens the whole connection. SP: I remember an early lecture in my Bachelor’s degree was on moss, which I had no interest in. But the lecturer was incredibly engaging, and it was one of the better lectures I’d had at that point. It just goes to show, if you present something well enough, it will be interesting regardless. MvK: It does come down to an individual being able to communicate, and share that enthusiasm. I’ve had the flipside, lecturers and professors who have just given the most terrible, uninspiring talks. And if that was my only exposure to those subjects, I would have been out. As scientists, we need to be better communicators, especially with the general public. Because we do live in an ivory tower, we are very sheltered, and we have to break that barrier down, and give the general public a deeper understanding of the significance of the work that goes on. SP: You had pushback from scientists. I think it’s important that people don’t see scientists as an unattainable level of intelligentsia. How have you tried to make science seem more inclusive? MvK: That perception is a huge problem. On TV, even to this day, scientists will be in a white coat, often a white man in a white labcoat. So one of the things we’ve tried very hard to do is encourage diversity in our science. In our promotional material, rather than a white guy, we use Latinos, African-Americans, women in science. Because if you’re from that background, you can see one of your peers and realise that you can be a scientist. In the past it has been portrayed as a somewhat elite group. So we partner with some institutions that specialise in diversity and engagement in under-represented students. 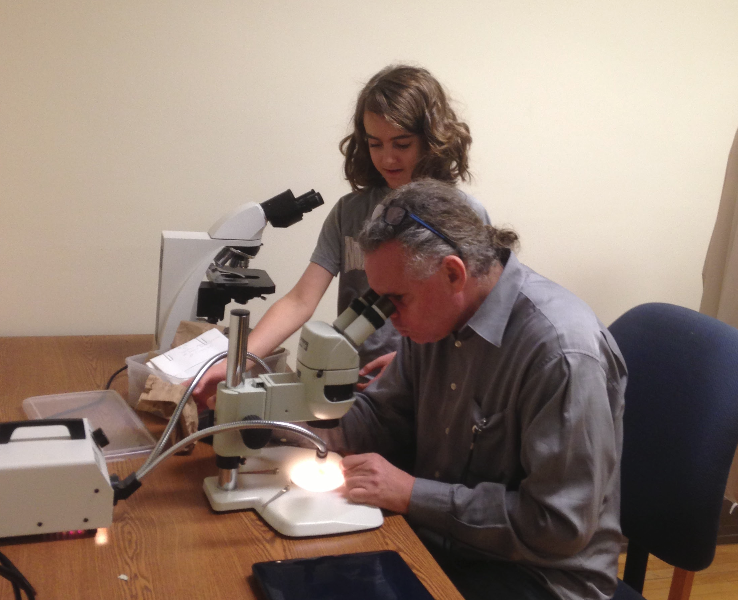 We want to expose those students, traditionally under-represented in science, to a natural history collection, to science like this and provide an opportunity they otherwise may not have been exposed to. SP: Have there already been projects that the data has helped to accelerate? MvK: We’ve just published a paper on this whole effort, a whitepaper outlining its success. And we are seeing clustering patterns, we are seeing outliers. But that means that rather than having to screen a thousand specimens myself, I can immediately go to one or two specimens and focus my efforts on them. And we’ve published two new studies from this. We’ve identified range extensions and new distribution patterns, that would have just been buried and locked up otherwise. We’re now seeing the fruits of all of this work. SP: There have been some big political shifts lately in the States. What sort of corresponding changes have you seen in science? MvK: One of the first things that we’ve seen was a mass rally in support of science. So that was really enlightening and encouraging to see. So even though certain elements of the government might not be as supportive as previous adminstrations, it’s pleasing to know that the general public is still aware of the importance of science in our daily lives. Universities and museums have an obligation to contribute to that message, and to help change political opinion. That was one positive aspect that has come out of the last couple of years. SP: There are a lot of issues we have today that there’s general consensus on in science, however in a lot of these cases, we don’t see to have been able to convince the public that this is a big issue. MvK: I’m not an expert here by any means, but I think we have to do a better job communicating to the general public that science is a process in which we test hypotheses over time. We’re constantly building up knowledge and getting more evidence. And so sometimes if there’s debate even with biologists about a species, that debate can transfer over to public confusion, but it’s just lack of understanding from the general public about the scientific process. I think if you can show people that there’s going to be an impact on their daily lives, they’ll take a greater interest. And especially if there’s going to be an economic impact, then they’re going to stand up and listen. If you can convince people there’s an economic impact or incentive, they’ll buy in. In Chicago, there is a Sustainable Backyard Program, that offers 50% off any locally-purchased native plants. Things like that help the environment, there’s an economic incentive, they become more aware of the significance of buying locally sourced seed to prevent invasive animals and pests. Solar energy is another thing that comes to mind; many US states offer solar incentives and financing or subsidizing initiatives. If you do things like that, then it’s going to help this whole discussion.